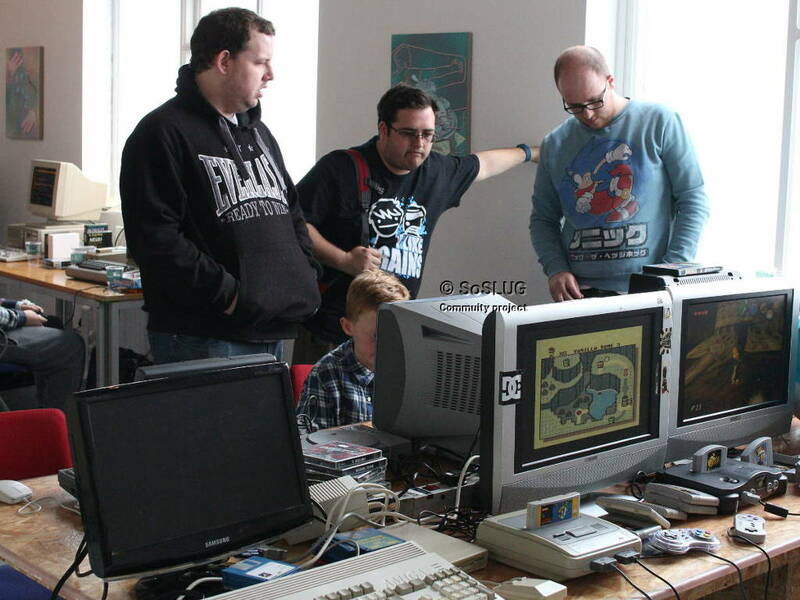 such as any retro machines, manuals, disks, tapes, games etc. from this era. The event was well attended, with visitors coming from as far afield as Cambridge and Frinton, and all ages were represented. 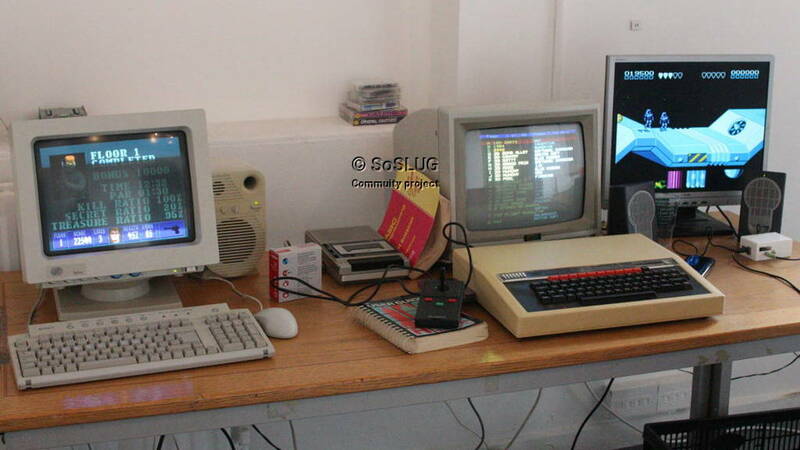 to see just how far computing has progressed in 30 years. 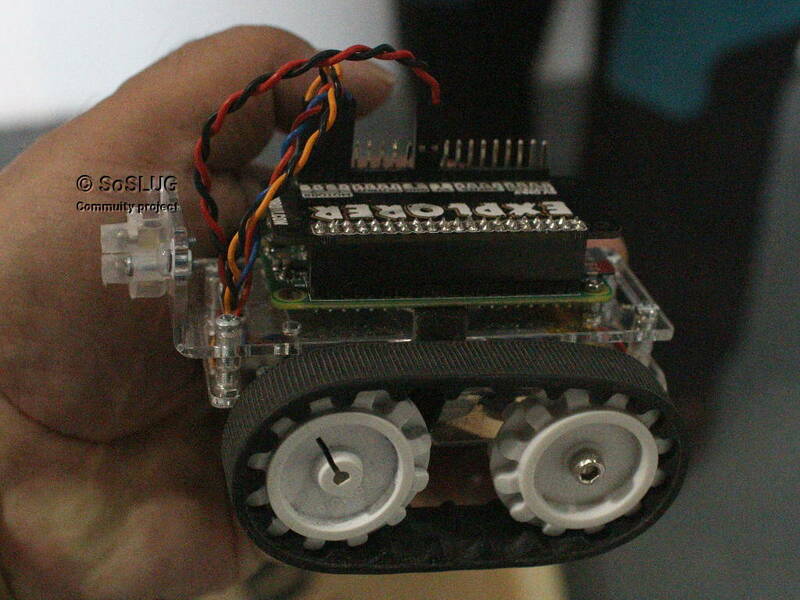 which was developed by Seymour Papert in the late 1960s, to support his version of the turtle robot. (the back of old wallpaper was good for this), would then trace out it movements based on commands from the user’s workstation. It’s simple commands still make it an easy introduction to programming for children today. Keeping the robot tradition alive, some modern day robot’s were also on display. This one, with just two wheels, was self balancing. 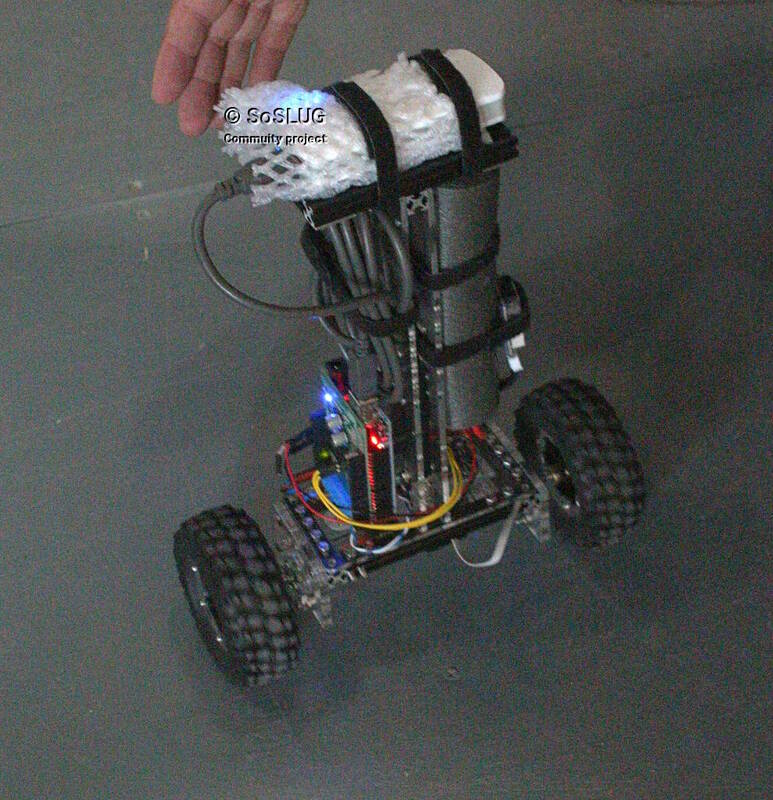 Smaller robots were used to demonstrate their mobility. 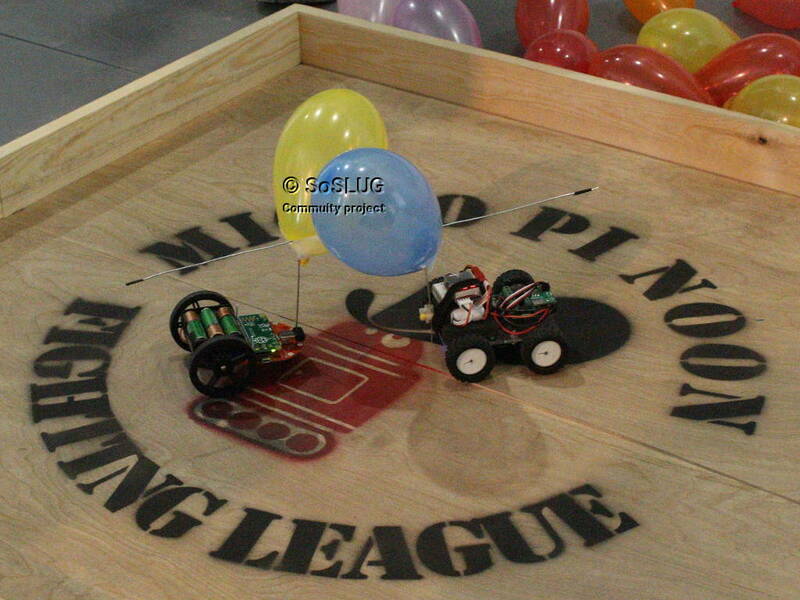 Balloons were attached to the robot, along with a pin. 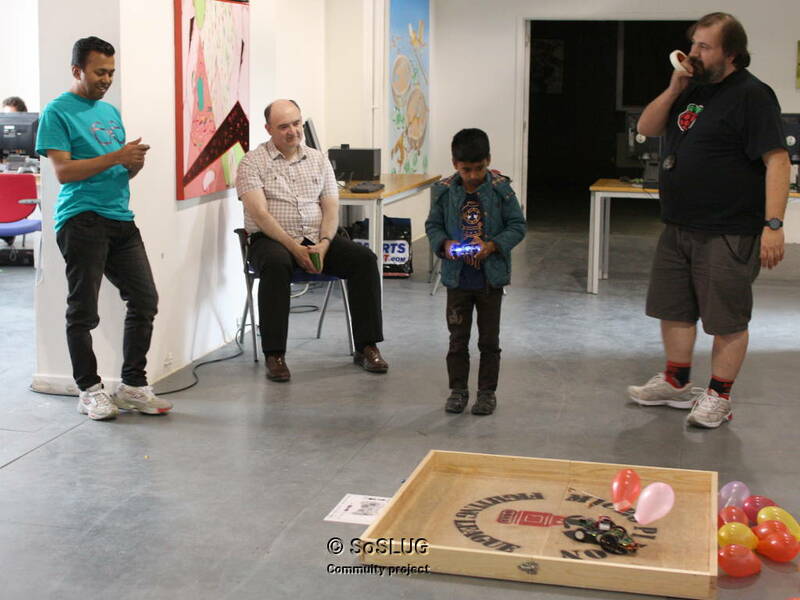 The aim was to burst the opposing robot’s balloon. Great fun requiring a lot skill and concentration. 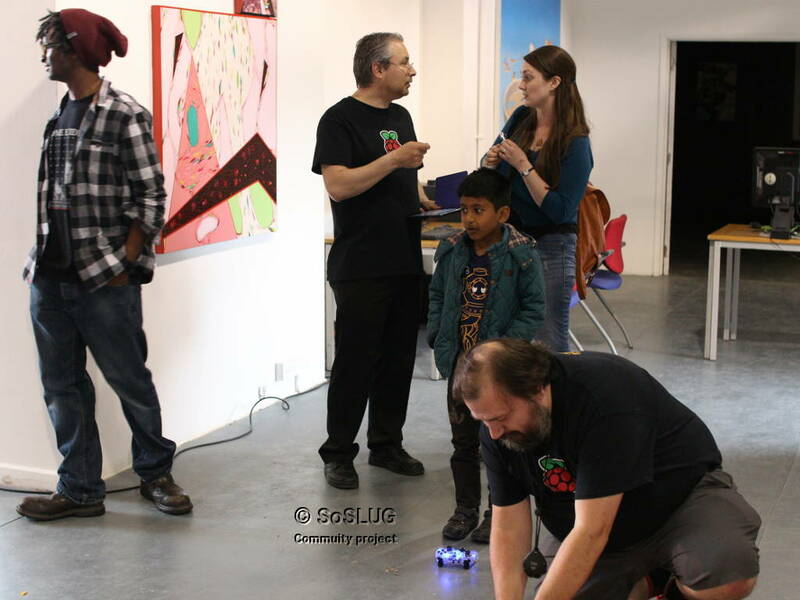 Robot designer sharing his experience with a SoSLUG member. N64, PlayStation 1 & 2, Dreamcast, Sega Saturn, Neo Geo, etc! 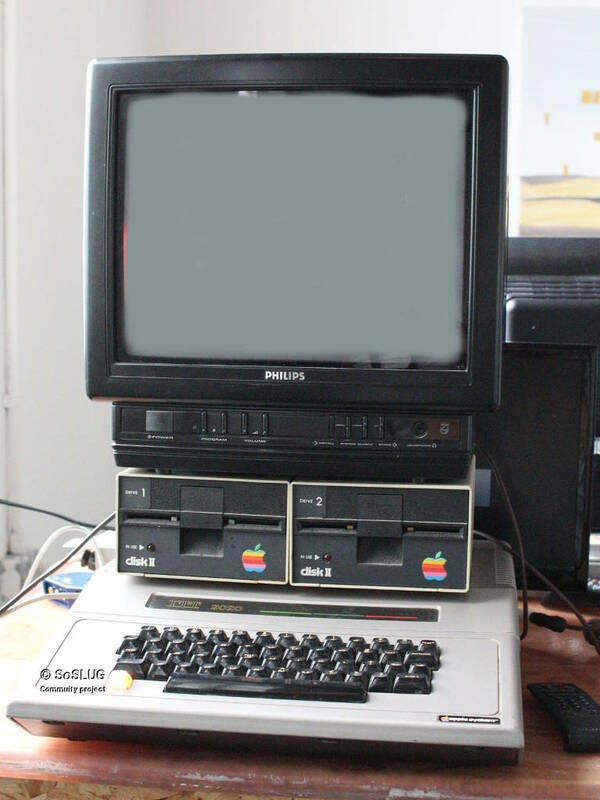 such as the Apple II, initially used audio tapes, as these were readily available to the hobbyist community. 486 DOS machine, and an Apple II(ish)! the first Apple computer to be built in the Europe under license, at the ITT Consumer Products Division in Basildon. For the technically minded, the BBC Micro, and Apple computers used a 6502 microprocessor with a clock speed of 1MHz. to teach programming, as it’s rigid syntax was intended to promote, good programming habits. The Apple I, it’s predecessor can be seen in the Science Museum, along with other memorabilia of that age, such as the Moon lander.